Toda y I’m celebrating 17 years of marriage with the best DVD sale price ever! Just $17.00 now through September 30th! 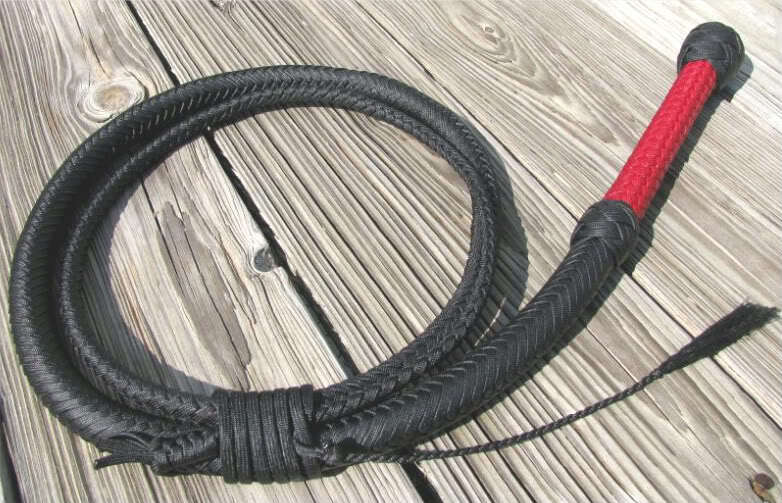 Go to http://www.cowwhips.com/whip-making-dvds to order! Whips: You never know where they’ll go! 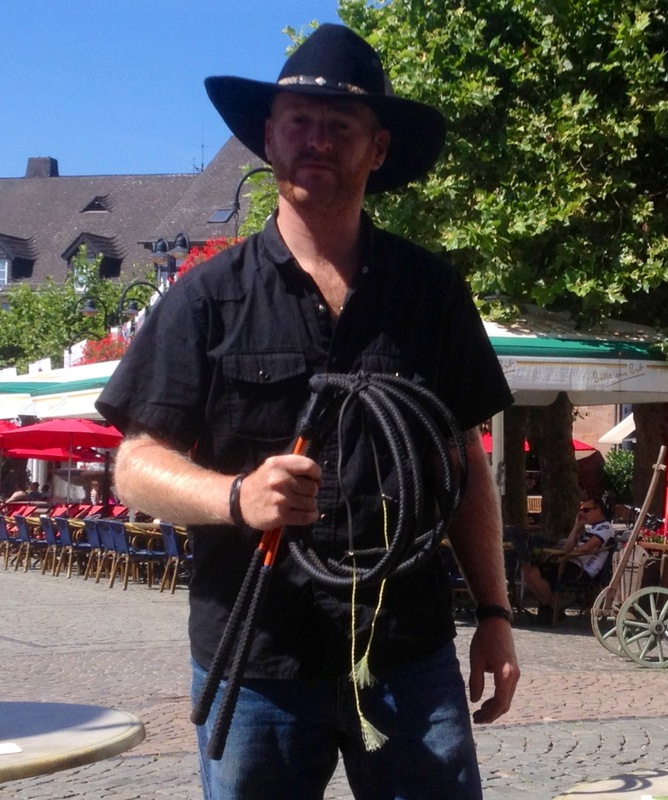 This is a photo performer Todd Various sent me of him holding a pair of my FCE stockwhips at a festival in Germany. The interesting thing about it is that these whips aren’t his. They actually belong to a performer in Brazil who happened to be at the same event and Todd was trying them out. It demonstrates to me that you just never know where your whips will be seen. 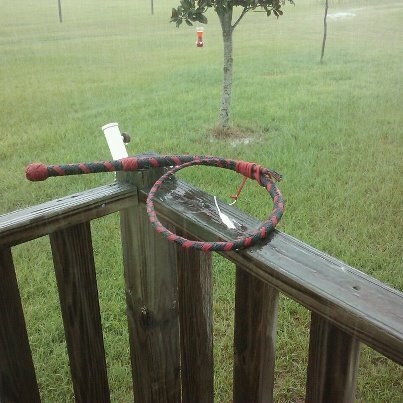 4ft nylon bullwhip in the rain. I haven’t offered bullwhips or snakewhips shorter than 5 feet for a number of years now. Yesterday I decided to begin offering bullwhips and snakewhips 4 feet in length because I’ve had special requests from stage performers saying that the shorter length be better for staged where space was limited. I updated my website, to reflect this change of direction. To see all the current kinds of whips I offer at this time, please visit my online store. Florida Cow Whip: Made in Argentina! A while back, I received an order from Fabian F. in Argentina for a set of my whipmaking DVDs. Today I was pleased to receive an email with the following pictures asking for my opinion of his efforts using my DVDs. 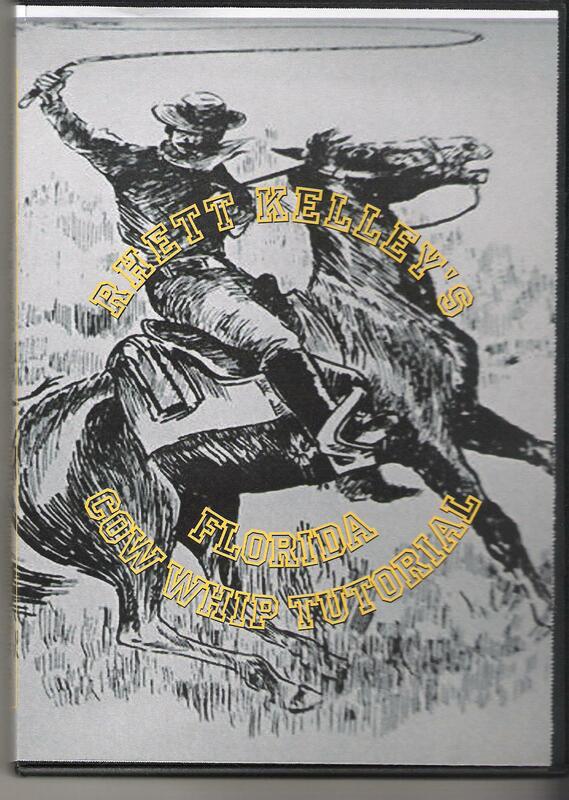 Your results may vary, but if you have an interest in making your own nylon Florida cow whip, consider ordering my whipmaking DVDs. This is one example of the many photos I have received from people who have used my DVDs to learn to make their own cow whips. 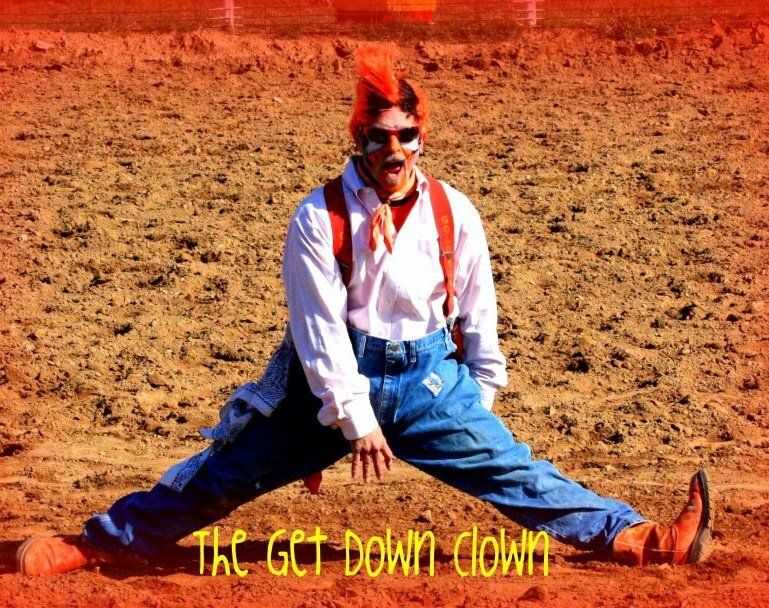 Rodeo clown Mike “Scooter” Smith has a huge list of rodeo related accomplishments to his credit. He began riding broncs and bulls back in 1992 and eventually moved into entertaining crowds with a variety of outlandish costumes, characters, and four legged assistants. He has appeared in rodeos all over, on television, in music videos, and in the movie Pure Country II. When Mike commissioned me to make him a cow whip to use in his shows, I knew it was going to be an interesting project. He wanted an 8ft Florida cow whip with orange, purple, white, and green. The next time you’re at a rodeo and you see an orange haired clown with a crazy looking Florida cow whip, it might just be Scooter. If you’re a rodeo clown and you would like your own custom made whip, let me know! Visit Scooter on the web at mikescootersmith.com and on Facebook at Mike “Scooter” Smith: Rodeo Clown Extraordinaire. Today I received a question in an email about how I made the bullwhips with the grip portion of the handle in a different color than the thong as seen on the Young Indy style bullwhips and on many of the 12 plait bullwhips I have posted on my website. I agreed to help out and took a few snap shots of the process on a 12 plait bullwhip I was working on at the time. I’m posting them here to maybe help others who wonder what to do. This is probably not the only way, or even the best way, but it’s my way and it has worked for me so far. From here, I just build my transition knot foundation as normal and cover it with a turkshead knot.